HOOO Turned Off the Light? Once upon a time, over Christmas break of 2015, we adopted a super cute Skip Hop owl night light courtesy of the Myrtle Beach grandma. 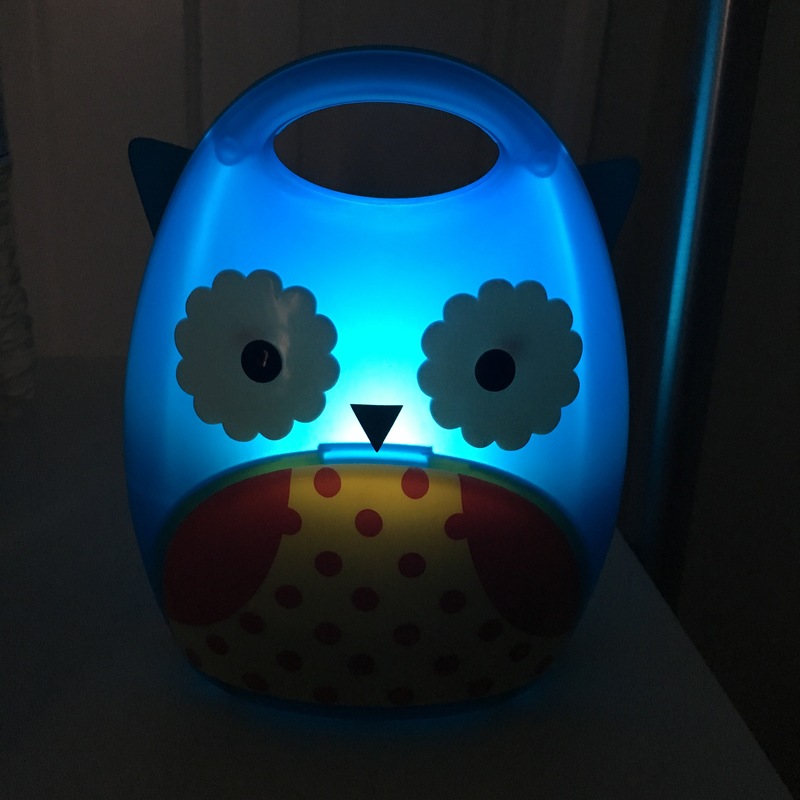 The blue owl sits on my nightstand and glows while Babystar nurses to sleep each night. The very wise owl gently turns itself off after thirty minutes. I love this thing! One day many months ago, Babystar was playing with the owl an dropped him onto the floor. A piece of plastic broke off of the battery case. We fixed this by covering the bottom tightly with packing tape. We use this owl every night. After a few battery changes, the tape method grew less effective and more annoying. If the nightstand was nudged at all, the owl would abruptly flicker off, sometimes causing bedtime distress and NOBODY LIKES BEDTIME DISTRESS. We replaced the owl in November. ($19.03 via Amazon Prime.) Bedtime improved greatly until a few weeks in to the new owl coming to live with us. Owl #2 broke for real. Even more broker than Owl #1. The battery pack legit broke off and fell inside the owl completely. In fact, we have been using the OG (less) broken owl for months, with our handy tape hack. Fast forward to March and we finally got around to calling Amazon and they replaced it with no issue. Amazon is awesome or maybe we just spend waaaay too much money on Amazon but either way, YAY. Let’s see how this goes. Take three. Previous VCU and Melissa and Doug and Lucy.